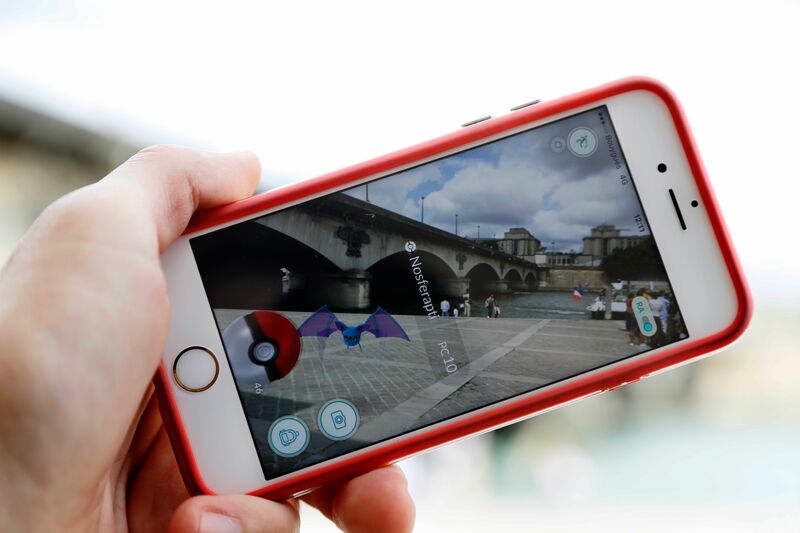 Although there are only a handful of usable items in “Pokemon Go,” it’s still a question that comes up with some frequency: What “Pokemon Go” items should I keep? Because despite the relatively small number of item types available, it’s incredibly easy to run out of storage space in your Trainer character’s inventory, especially as you reach higher and higher levels. You can clear out space in your Trainer's backpack by trashing items — but how do you know which ones are worth hanging onto versus the ones that you can probably ditch? Good news: It’s actually not that tough to figure out — although you will have to do a little soul searching to figure out what’s most important to you. In “Pokemon Go,” I mean; not in life. Although, hey, if “Pokemon Go” helps you figure out your own personal life philosophy, more power to you. As we previously discussed when examining how to maximize your "Pokemon Go" storage space, your item inventory — which, by the way, is separate from your Pokemon inventory — holds 350 items as its default capacity. You can purchase additional slots in the “Pokemon Go” Store — 200 Pokecoins (roughly $2) buys an additional 50 slots — with the maximum number of slots being 1,000. But you definitely don’t have to spend actual money on bag upgrades, as long as you develop some resource management skills. What items you keep and which ones you trash sort of depends on what you hope to get out of the game. If your goal is to run around catching Pokemon and you never set foot in a gym, then you’ll want to hang onto the items that make catching Pokemon easier and jettison the ones that are only usable in gyms; however, if you really dig gym battles, your priorities will obviously shift a bit. Either way, though, I would argue that there are some items which should always be kept and used, some which can be reliably trashed, and some which could go either way, depending on what you spend most of your game time doing. Here’s how all that breaks down. There’s absolutely no reason to chuck these three items in the trash. Instead, just use them; that will get them out of your inventory, thereby clearing space, but without literally throwing away the benefits they grant. Like an incense module, a Lure module will attract Pokemon right to your feet for 30 minutes when active. Unlike an incense module, however, you can only use them at Pokestops. Either way, though, you’ll definitely want to reap the rewards of any Lure modules you have instead of just throwing them away — particularly if you spent real money on them. Lucky Eggs double the XP you earn for 30 minutes. If you really want to get the most bang for your buck, activate an incense module or go to a Pokestop and drop a Lure module, then use your Lucky Egg — that way, you’ll get even more out of all the Pokemon flocking toward you. You likely have a ton of these items taking up space in your inventory — but you probably don’t need to hang onto all of them, so go ahead and trash some of 'em. Here’s why. Potions, Super Potions, Hyper Potions, Max Potions, Revives, and Max Revives are abundant in “Pokemon Go.” They are so abundant that I have collected approximately 80 million of them, despite the fact that I am a lowly level 10 Trainer who has never once ventured inside a gym. I enjoy the collecting aspect of “Pokemon Go,” but the idea of fighting other people makes me anxious, so I will probably never go battle at a gym; as such, there is absolutely no reason for me to hang onto any of these healing items, which can only be used after battling at a gym. If you’re like me, go ahead and trash them. All of them. If you do fight regularly at gyms, you probably won’t want to trash all of them, but you might still be able to get rid of at least a couple of each. You can choose how many of each type of item to ditch, you see — so if you have more of any single item than you can see yourself using in the foreseeable future, go ahead and trash a couple. You might also think about getting rid of low level potions if you have a ton of higher level ones that will heal more damage. These kinds of items could go either way — they do give you some nice little benefits, but you can probably get away with playing the game without them. Whether you keep them or trash them will depend on where your priorities as a Trainer lie. Feeding a Razz Berry to a wild Pokemon is supposed to make it easier to catch, although honestly, I haven’t really noticed much of a difference; I’ve fed a Pokemon a Razz Berry, thrown a Pokeball at it, caught it, and still had it escape more times than I can count, so I’m not convinced they’re that effective. Accordingly, I probably don’t need 50 of them hanging out in my inventory. Sure, I could use them… but I could also probably ditch them without suffering too much from the decision. Maybe that’s just me, though. Great Balls, Ultra Balls, and the like all increase your chances of catching a Pokemon. If your goal is to catch ‘em all, you might want to hang onto them; if, however, you’ve reached a point where you’re doing more gym battling than catching, you’ll likely be fine ditching a few. Is this a definitive list? Of course not; again, what you keep and what you chuck will depend on how you play the game. But hopefully it’ll provide a useful starting point; after all, there are as many ways to play “Pokemon Go” as there are players themselves. If, at the end of the day, you’re having fun? That’s all that matters. You do you, Trainers. You do you.